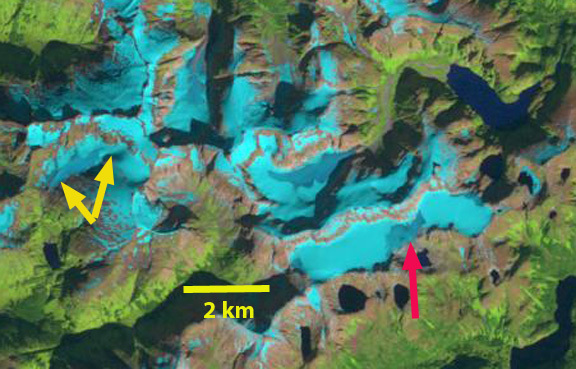 Glaciers are considered a key and an iconic indicator of climate change. 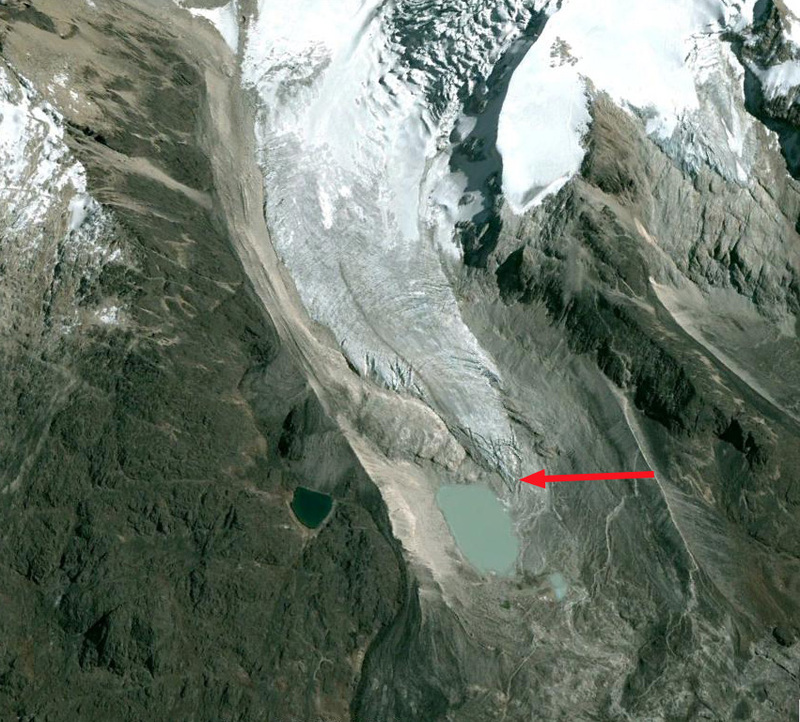 The World Glacier Monitoring Service has noted that global alpine balance has been negative for 35 consecutive years. 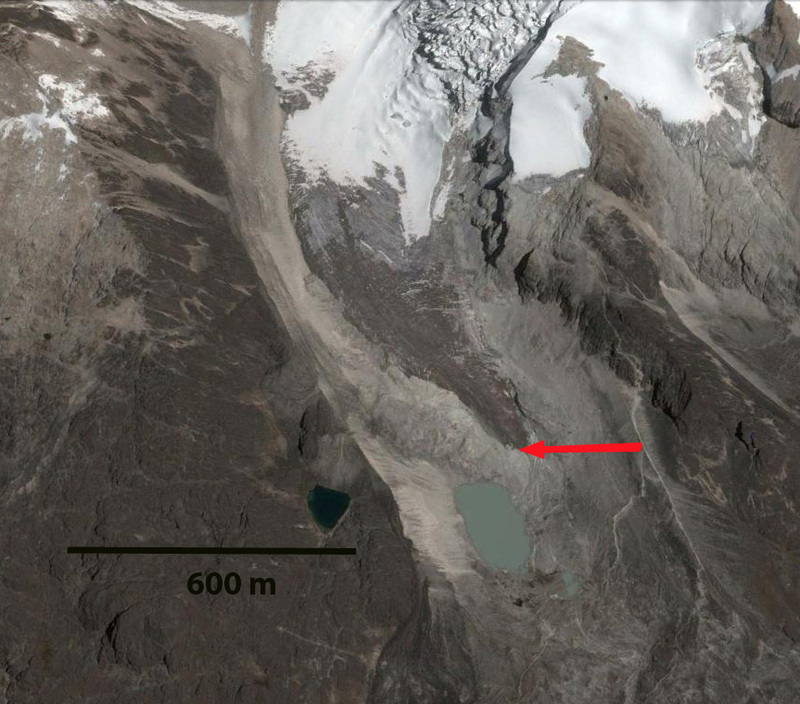 This highlights the dire future that alpine glaciers face. 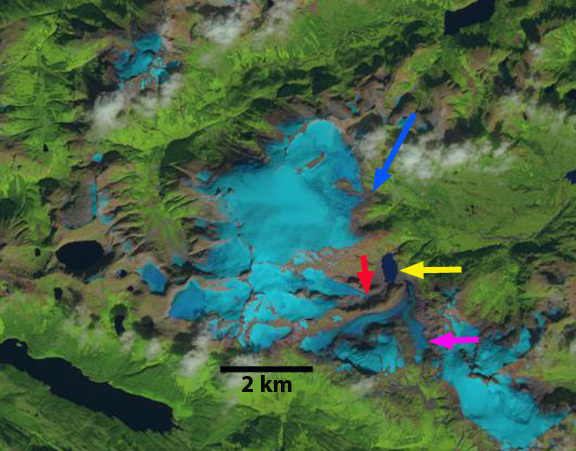 The goal of this volume is to tell the story, glacier by glacier, of response to climate change from 1984-2015. 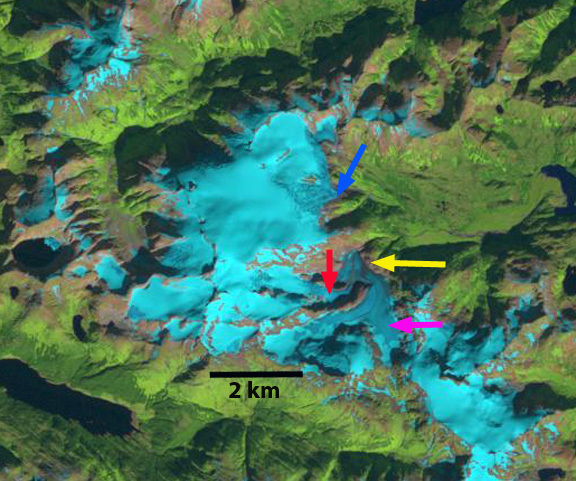 Of the 165 glaciers examined in 10 different alpine regions, 162 have retreated significantly. 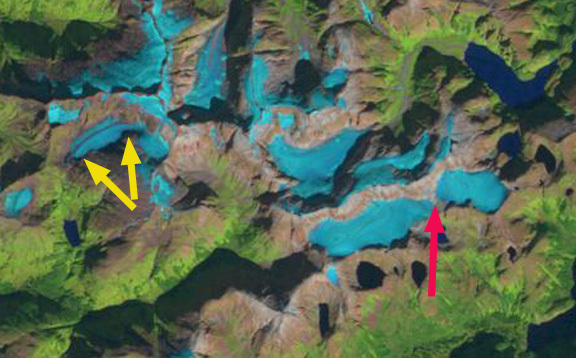 It is evident that the changes are significant, not happening at a “glacial” pace, and are profoundly affecting alpine regions. 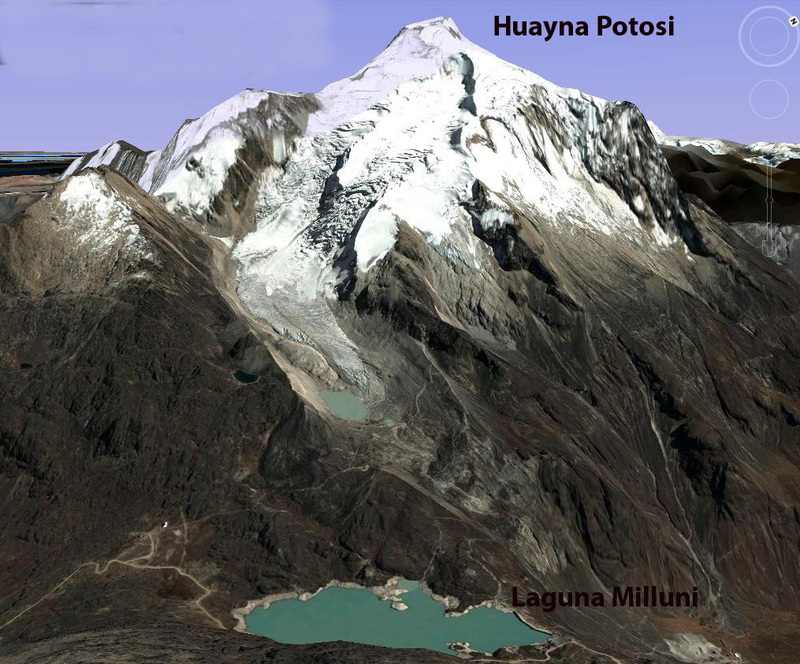 There is a consistent result that reverberates from mountain range to mountain range, which emphasizes that although regional glacier and climate feedbacks differ, global changes are driving the response. 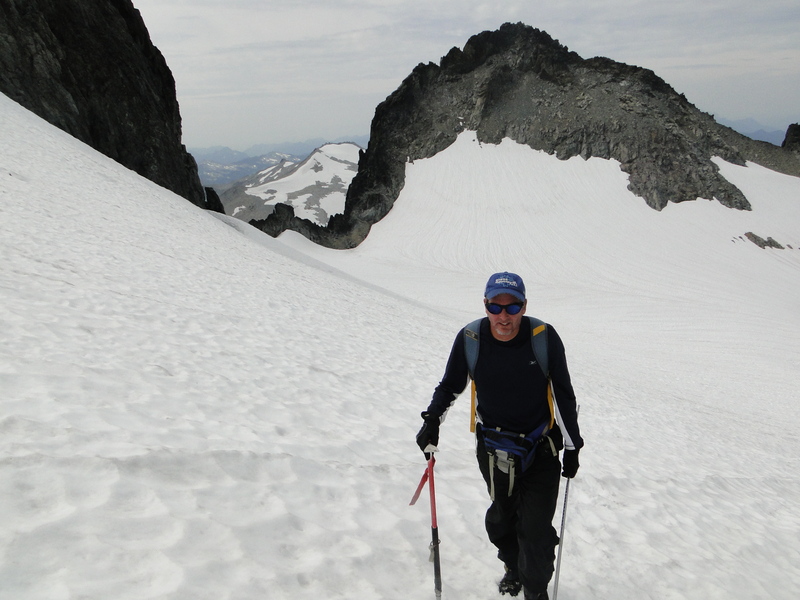 This book considers ten different glaciated regions around the individual glaciers, and offers a different tune to the same chorus of glacier volume loss in the face of climate change. 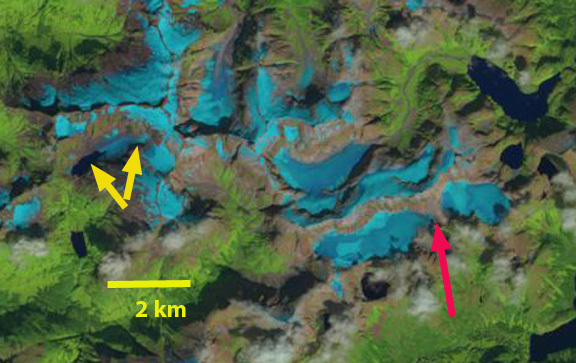 Below are some sample image pairs all Landsat images from the book. 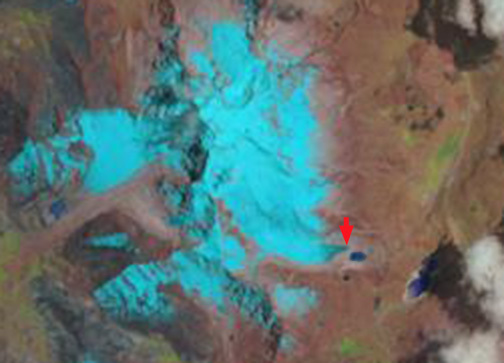 The red arrow indicates the earlier terminus, yellow arrow later terminus position and purple arrows upglacier thinning. 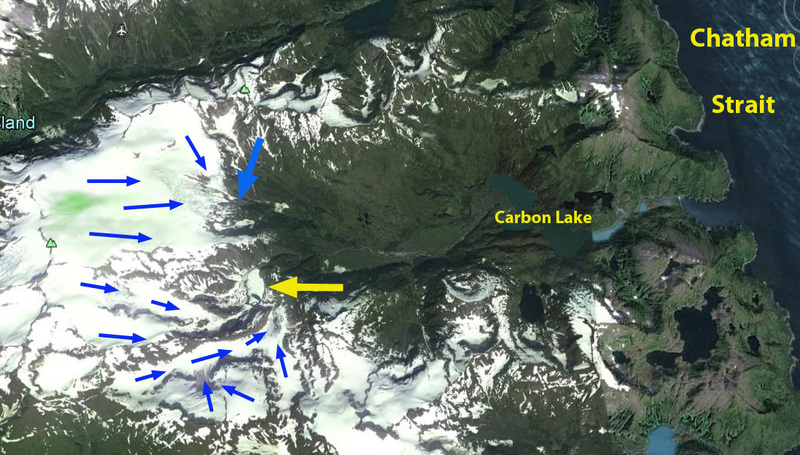 This is a visual introduction to our 31 years of work on Lower Curtis Glacier complimented with Google Earth imagery to illustrate the changes. 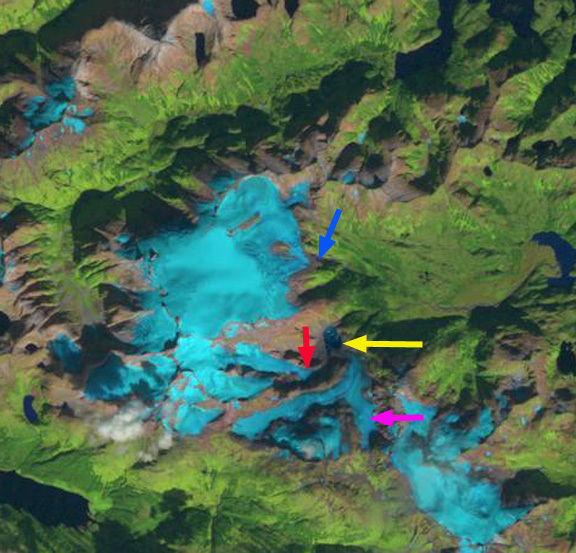 Each year since 1984 this glacier has received an annual checkup from us, North Cascade Glacier Climate Project. 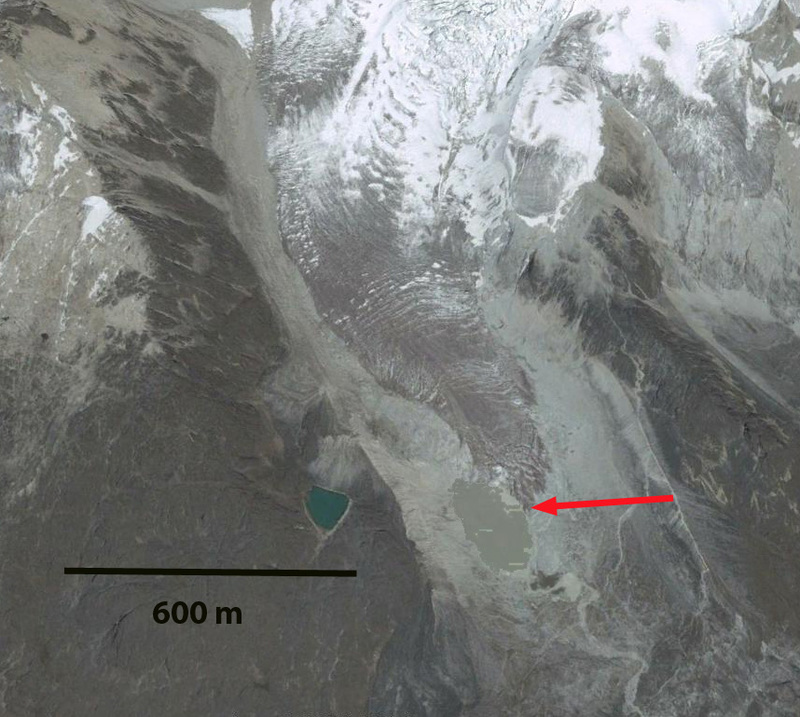 The mass balance and retreat of this glacier is reported to the World Glacier Monitoring Service. 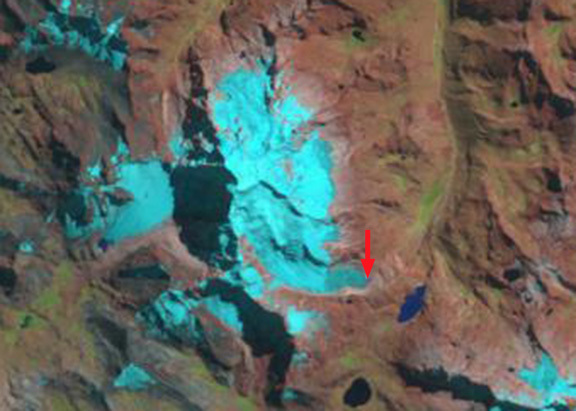 Many nights have been spent camped below this glacier. Unfortunately in the last seven years we have had mostly wet weather at this site, that hopefully will not be repeated this coming summer.